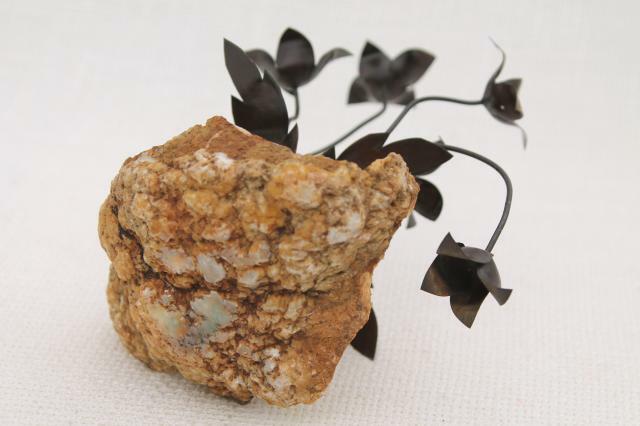 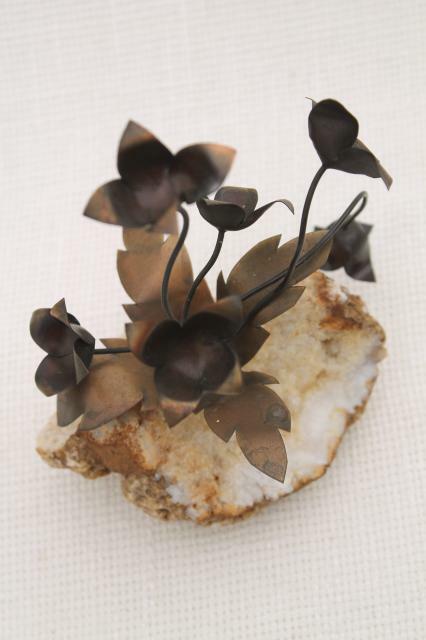 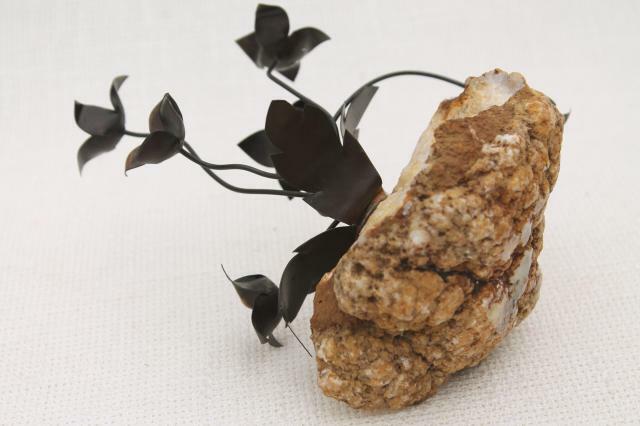 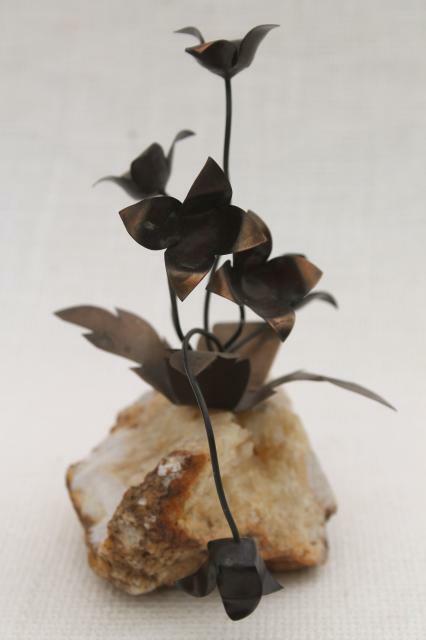 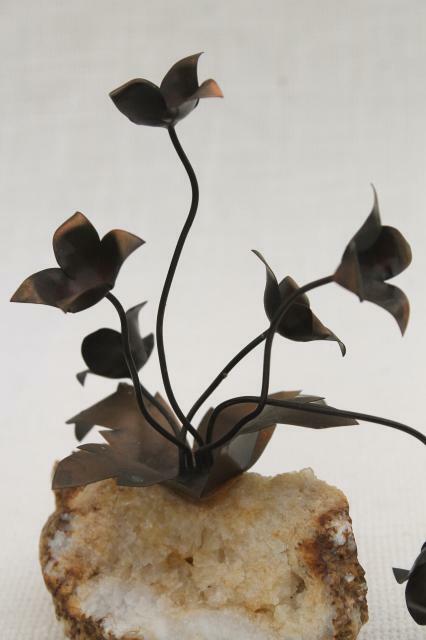 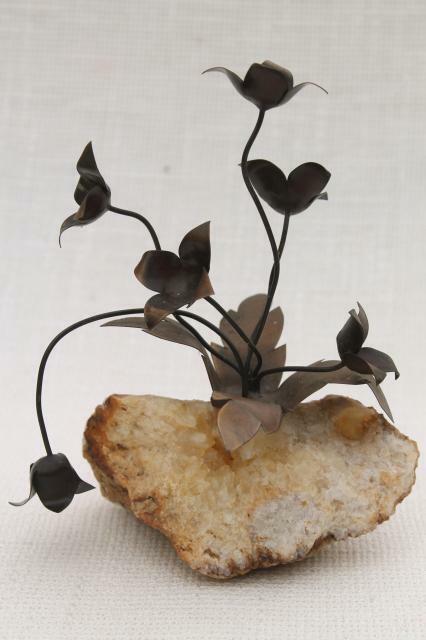 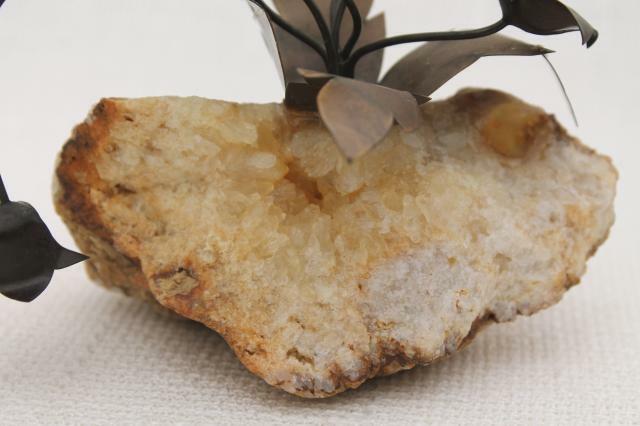 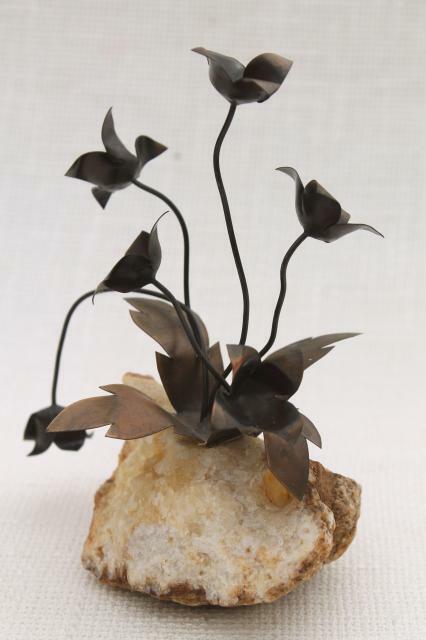 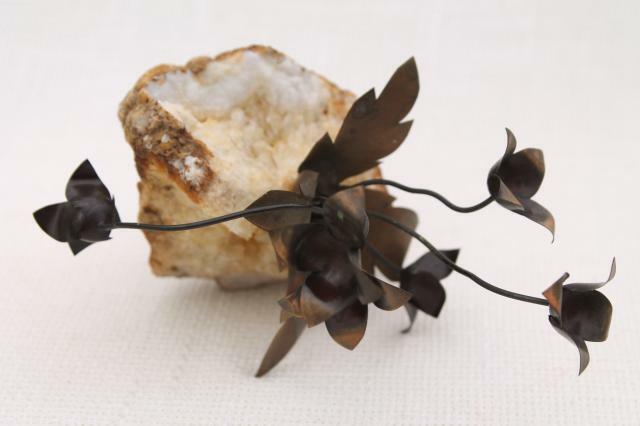 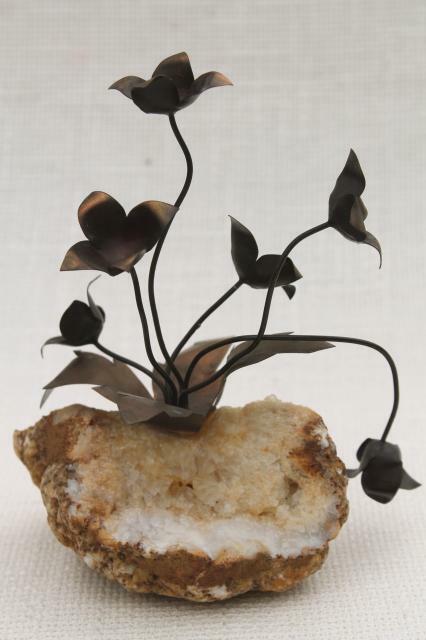 70s vintage metal art flowers mounted on natural stone - these are lovely in a austere, brutalist way! 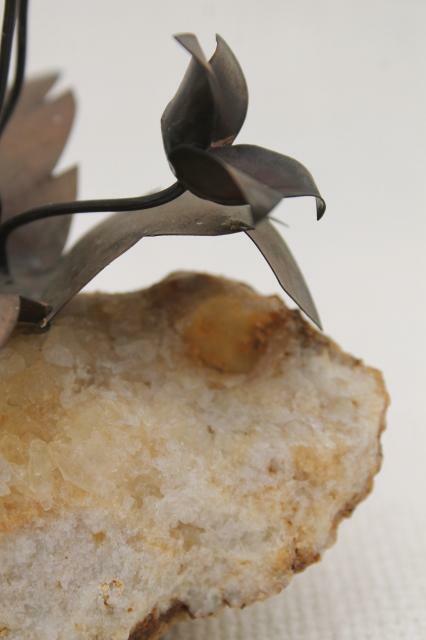 This is not marked or signed that we could see. 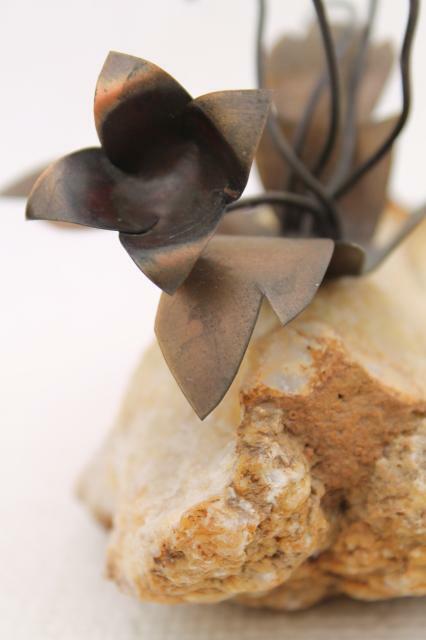 It stands about 5 1/2" tall overall.